Real estate is a service industry. And for service, you need clients. That’s why “lead generation” is a significant focus for agents and why it’s a booming business to help those agents find and nurture leads. But once a lead converts into a client, many agents take a “one and done” approach. They close the sale, take their commission and move on to the next lead. This transactional focus may work for retail. But it’s not a smart strategy for real estate. At Adwerx, we put some numbers behind the need to reframe how you view your clients and encourage agents to think about relationships more than transactions. We created a Lifetime Value Calculator tool, which puts real math behind this strategy. 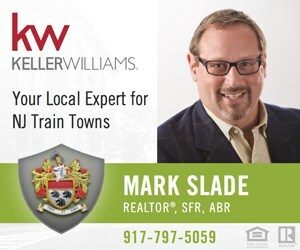 It’s the kind of tool that agent Mark Slade of Keller Williams in Maplewood, New Jersey, can get behind. And Mark’s strategy is to encourage the repeat and referral business starts well before the closing. First, Mark is a big player in his community. 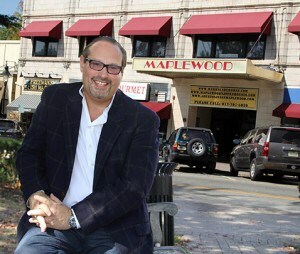 He enthusiastically supports local businesses, sports teams and events with his own social media and digital outreach. Secondly, he makes sure to say thank you. A lot. “Closing gifts are big for me,” he notes. But he doesn’t just deliver your average bottle of champagne. Mark puts thought into each gift, such as a custom welcome mat or a mailbox for a homeowner who didn’t have one yet. And of course, his signature homemade cookies. “It seems I’m known for those now,” he laughed. But the point of the gifts isn’t the price tag. It’s about staying top of mind with his past clients in a genuine and personal way. Of course, not all clients want to be nurtured in this way. Some buyers and sellers close on a house and move on, letting their real estate agent relationships fade. But Mark notes that if you are more than just an agent for that client, then you are more likely to stay connected to that client. 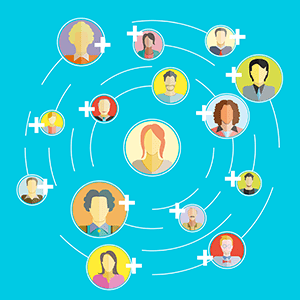 As a community ambassador, agents can stay relevant and valuable. In that vein, Mark uses an email touch tool called Happy Grasshopper that helps him stay in front of clients in their inbox. But he doesn’t just talk real estate. He sends information on community events, interesting videos and technology headlines. In fact, it was an emailed video on a new scientific breakthrough that garnered him the response he wanted: a former client replied that she was ready to sell again. It just goes to show it takes different tactics to reach different people. Because there is no silver bullet for success. But for some agents, building a genuine relationship with clients is one of the most rewarding parts of real estate — personally and professionally.